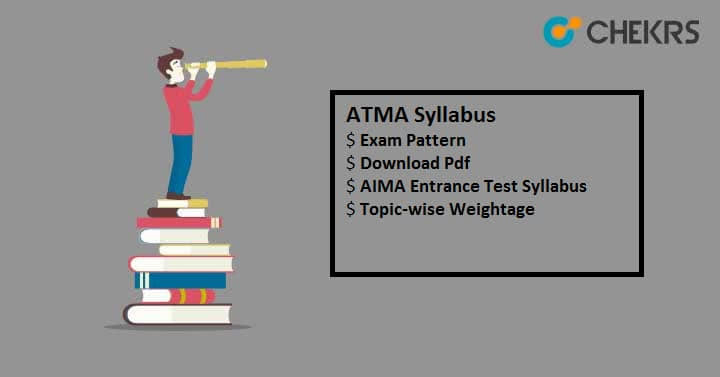 ATMA Syllabus 2019: Candidates seeking admission in to PGDM/MBA/ MCA/ MCM/ PGDBA programmes can give AIMS ATMA – a national level management admission test. Many B-schools take admission on the basis of ATMA Score Card. Aspirants who wish to give this exam should be aware with the complete Syllabus along with ATMA Exam Pattern. This exam is organized 5 times in a year. You can apply for the same during any session as per your preference. It is important to understand the syllabus well and to know what to study, which topics are important, which topics are of maximum marks etc in order to get success in the exam. Here we have provided the Section wise Syllabus based on the Previous Year Papers. Candidates must check the ATMA Paper Pattern also to get the detail information regarding the original question paper. It will give you exact idea about the time distribution and question distribution in each section. After ATMA Exam Pattern, you can take the help of ATMA Previous Year Papers to get exact idea of the original paper. Once completing the entire syllabus, you should solve the previous year question papers to analyze your weak and strong areas. Hope you are satisfied with the information provided here. For any query, you can write in below comment box. All the Best!! !